Updated and ready for you! All the big stuff is done! HVAC is less than one year old, new INTERIOR and EXTERIOR paint in 2019. Kitchen and bathrooms are updated too. Granite counters and upgraded cabinets in kitchen. A fantastic single-family home in prime location within quiet Trails II subdivision of Old Town Scottsdale. Two large bedrooms with an XL master bedroom with walk-in closet and double sinks. 14”x14” tile floors, open living room space with plantation shutters, and spacious backyard great for entertaining. Two-car garage complete with washer and dryer. HOA keeps neighborhood looking great! Minutes from ASU, Tempe Marketplace and 202 freeway. Large park just blocks away. One minute from 101 freeway. Must see! Directions: South 85th place to Trails Community Entry. Approximate size: 5250.00 sq. ft. Please, send me more information on this property: MLS# 5878244 – $286,900 – 832 N 85th Place, Scottsdale, AZ 85257. 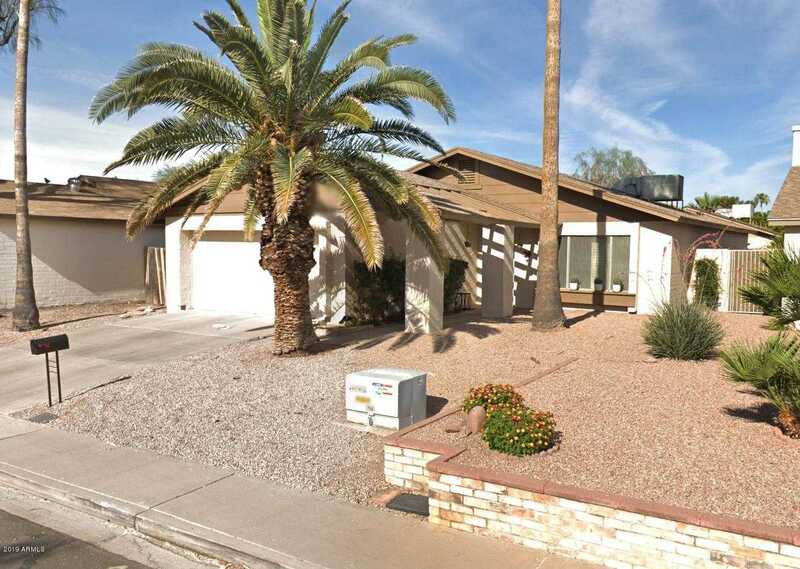 I would like to schedule a private showing for this property: MLS# 5878244 – $286,900 – 832 N 85th Place, Scottsdale, AZ 85257.